All year I tried harder to be a better person, but there are ALWAYS obstacles in front of me! Someone is trying to destroy my passion to do great things for God! I worked harder to prove myself, but you saw nothing in me! Why me? It is your fault! You are the one who turns my life into a hellhole! I do not have anywhere to go and now look at me! It is all those bitterness and full of anger was boiling inside me after I lost everything on November 27, 2012. My ex wife, Lori left me with no clue. When she left at 715am she gave me kiss and said goodbye. A few hours later, I got a message from my pastor Michael Williams from Sovereign Grace Community Church, as he wanted to see me right away. I came to office, even I was very drunk after consuming large amounts of rum. Everything I built and struggled to get myself better has been collapsed into pieces. The next moment I can remember it went into the black all I can remember after my meeting with the pastor and assistant pastor. I walked furiously to the rental car and I drove through downtown of Boston, I began to lost balance of driving the rental car and I let it slam on one of parked cars caused the rental car’s passenger mirror side to fall apart. I was doing on the true intention to get myself killed because I was completely unhappy with my life and was facing losing everything. I cared less for the rental car’s passenger mirror side because all I wanted to go home; I parked the rental car in Zip Car parking lot near Malden Station MBTA station then walked for another fifteen minutes to my old apartment in Malden, Massachusetts. I continued to drown into a bottle of rum. The darkness ascended upon me and I texted madly to many people who I know and told them I do not know what to do next. I called my mom and my former father in law and told them the truth about the collapse of my marriage as Lori and I are going into separate path. I looked at God with internal anger and do not know what to say next to God. All I can remember was sitting on the sofa and been motionless for many hours to come. I hardly can get good sleep. Little I did realize God was going to do something better and have bigger plan for me! Stay tuned for part two on 12/3/12. Look at my qualifications and I have everything and please get me in! Why did you reject me even I am so good and I possess talents beyond your expectation! I did everything and you still do not get it and I am nothing good to you even I held great potential in life. I truly guarantee that you would feel that way when you possesses talents, it is when you felt are not being recognized. I got to admit it, I am one of them and how unfortunate it is. It is painful feeling and never easy! I would like to share something. A week ago, I went to see Spider-Man: Homecoming movie at the theatre and I was so STOKED about this movie for two reasons: Spider-Man is my old time favorite since I was a boy and also it is finally connected back into Marvel Cinematic Universe after legal battle with Sony over Spider-Man movie franchise since Sony still own the right to make Spider-Man movies. Before I can say about this movie, it will have a minor spoiler alert. This movie took place after The Avengers Part One storyline (2012), and pre and post Captain America: Civil War storyline (2016). One scene in this movie hits me so hard when Tony Stark aka Iron Man had sort of, “Father-Son” conversation with Peter Parker aka Spider-Man. Tony Stark: What is somebody had died? That’s on you. What if you had died? That’s on me. I don’t need that guilt on my conscience. I’m gonna need the suit back. Peter Parker: I’ nothing without the suit! Tony Stark: If you’re nothing without suit, then you shouldn’t have it! (The dialogue between Tony and Peter took place after the incident with ferry boat where main villain, Vulture and his goons are on where Spider-Man thought he could handle himself but little did he realized it can kill numerous passengers on ferry boat). Tony realized Peter had much to learn! Tony thought Peter was unteachable and he had to do something about it! He had to teach Peter, lesson and prove himself! This scene blew me off because it made me think of the Christians who are in an untrained ministry position in sharing God’s Word, which turned into legalistic viewpoint even misinterpreted and misled on God’s Word where there is no training involved in understanding God’s Word. So is you Peter Parker? Tony knew Peter need to focus on himself as Peter Parker not as Spider-Man before he can be true Spider-Man. Anakin Skywalker: Master Obi-Wan manages not to see it. Do not get me wrong, Obi-Wan is a great mentor. As wise as Master Yoda as powerful as Master Windu. I am truly thankful to be his apprentice. In some ways—a lot of ways—I’m really ahead of him. I am ready for the trials… but he feels that I’m too unpredictable. He won’t let me move on. Padme Amidala: That must be frustrating. Anakin Skywalker: It’s worse. He overly critical. He never listens. He—He doesn’t understand. It’s not fair! Padme Amidala: All mentors have a way of seeing more of our faults than we would like. It’s the only way we grow. Anakin Skywalker (Sighs): I know. Padme Amidala: Anakin. Don’t try to grow up too fast. Anakin Skywalker and Peter Parker shared similar frustration, however Peter Parker takes himself into action to prove himself to Tony Stark aka Iron Man. It is where Anakin Skywalker did not, he let anger and bitterness took over it is where he has fallen into dark path. The answer: Darth Vader, no further explanation needed! Why did Anakin and Peter rushed into action and think they are capable of managing their own superpower? The answer is simple, PRIDE! Pride is the attitude of showing is all about ME! Look at my ability and I am capable of doing it! List going on! “ME” attitude, lack mentorship and discipline. Obi-Wan Kenobi and Tony Stark are considered a wise veteran, who held many year experience of handling the crisis. How does it apply to spiritual growth in Christianity? When it comes to Bible study, we need to be extra careful on how we interpret on what the verse is saying to us. We often pull out the verse out of context and misinterpreted, which caused great misunderstanding. So we need to seek help in understanding the Holy Bible better by being a listener and do the journaling to jot our thought in understanding what it will apply to our spiritual growth. We need to sit down and listen to wise teachers, pastors, preachers, and even mature Christians who want to help us and feeds us with God’s Word. I KNOW! I KNOW! I KNOW! I KNOW HOW TO DO IT! Almost ten years ago, I was in training for mental health social worker, and the trainer was teaching me on how to document the important information in computer concerning daily activity of clients. I keep telling the trainer, “I know” repeatedly. If you keep saying I know that means you do not wants to learn anything! This message truly haunted me even since! In some ways—a lot of ways—I’m really ahead of him. I am ready for the trials… but he feels that I’m too unpredictable. He won’t let me move on. His attitude and behavior have turned himself into Lord Vader! Peter Parker had similar ways as Spider-Man it is why Iron Man had to do something to teach Peter an expensive lesson in order to protect Peter from doing something will haunt Iron Man. So we need to be careful and be willing to learn in understanding how God’s Word can apply to our spiritual growth and work on our flaws in our life before we can share with others. It is nothing wrong to be overexcite about what we have learned and understood on what will give great benefit in our life, but we need to be careful not to rush into things where we are not trained to go there yet! You think you know me? You don’t know me! You are concerned about me…oh I’m doing good! Seems familiar to you as alcoholic addict? It was taken from page of Marvel Comics’ Main Storyline Civil War II, which was published in 2016. They fought together for many years on many occasions, especially when serving their time for the Avengers. Even they have their own personal conflicts and disagreements on their own. However, it did not stop them being a friend. Captain America was gracious enough to confront Iron Man about his personal disagreement. He saw something oddly in Iron Man. It’s why he asked him when he had his last drink? Often of us like to deny the reality of what is happening to us! Little we did realize that deadly addiction is doing much damage to our mental function, physical and our spiritual growth. Did you see Captain America as he said: Control issue, trust issue, paranoia, & manic behavior. He suspects something is differing from being a normal Iron Man. He is not concerned about his role as Iron Man, he is concerned about his friendship with Tony Stark. Have someone voice their own concern about you are being a different person than you are? Are you hiding your own pain, you don’t want someone to pry in your pain, which are too much for someone to bear it? Feeling hopeless about your own pain? Where do you turn to for help? You must be married to deadly addictive behavior so it can ease off your pain. Altered reality kicks on as the pain disappears! Once the under the influence of drinking disappears, then the pains resurface! Be aware Lord can use ANYONE to get his messages to you EVEN those whom are outsiders too. Sorry to say that there are MANY people felt this way as you felt. Really, you cannot fool those people with your baloney talk even no matter how many drinks you had! They can see your appearance are changing even the way you are talking and thinking. I used to tell them, how I am good I am and I knew how to control with drinking issues, but little I did realize that my well-being is seriously deteriorating! You need to admit it yourself, none of us can fix you. No matter how much people tried to fix you, you will be always on the point of being miserable! You know why? You will not admit it until you finally admit that you are powerless over the overwhelming problems and realized you cannot handle alone. The only way you can do is seek God with your remorseful heart, then change will take place! Trust me, I was there and once you make decisions in the eyes of God, then you will see changeable in your life. Uncanny X-Men Echoes Deaf World! Oppression is no excuse for vengeance — for murder. I wonder… does the death of innocent people — cut down on the streets as they flee — free you? I think not. ~ Professor X from page of X-Men. Professor X has a strong vision of seeing mutants and humanity living together in peace. Magento saw humanity as great oppression upon mutants, so therefore humanity needs serious treatment. Believe it or not, Professor X and Magento were once close friends until their view of human-mutant relations became incompatible which was the beginning of rivalry between them. Professor X found X-Mansion, Xavier Institute for Higher Learning (it used to be Xavier’s School for Gifted Youngsters. It was the true intention to nourish the new mutants who are feeling being “outcast” in the world. It is where the X-Men began! Magneto went on his own path and found the Brotherhood of Mutants, originally known as the Brotherhood of Evil Mutants. Both of them share the same passion: their great love for mutants and ensure they are in their safe environment setting. I lived in a world where mutants were minorities, and the X-Men worked to build a peaceful coexistence between the growing mutant population and regular people… who never seem to run out of reasons to be terrified of us. Did it ring you as being a Deaf person (Note to hearing people it applies to you too, because you might have something else than being Deaf person)? Often of us experienced being oppressed in two different ways, true intention and non-intention. Being oppressed in non-intention is due to being ignorance and lack of being educated about an individual who is living as a Deaf person. For true intention, they knew it and cannot trust a Deaf person to do anything except able to hear! How do you feel when you are being oppressed? Wanted to seek legal action against them? They cannot understand that I cannot read lips! List going on, I can relate to you, smile! Should I take up the personality of Magento? 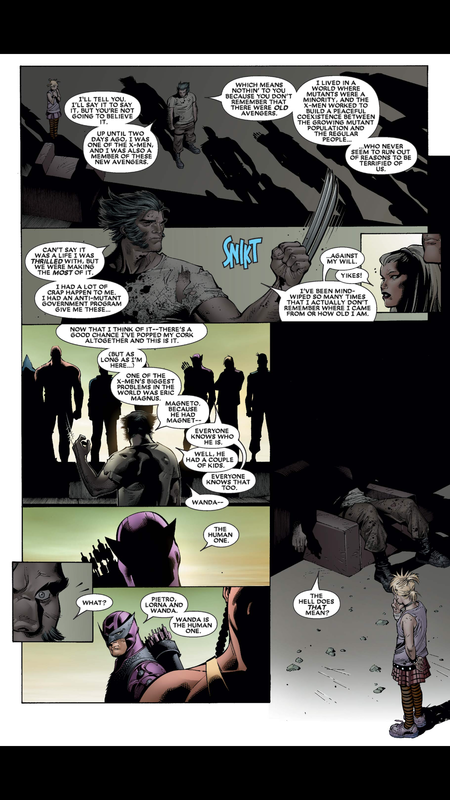 He has a depth of sense of hatred for humanity for mistreating mutants. Magneto echoes “Deaf” militants! He doesn’t want to do anything with humanity! So are you seeing majority as a threat to your community because of their oppression?! Should I say it’s better to take up the personality of Professor X since he believe in peacemaking between mutants and humanity! Professor X will do anything to educate those who are truly ignorant about the importance of understanding that mutant are normal as human. Also Professor X wanted to encourage those mutants to use their power wisely in helping those people. So do you want to be in Professor X or Magento’s camp? I prefer to be in Professor X’s camp! Before you say anything about who I am! I’m so proud of who I am! I’m thankful God created me to be Deaf person and see Deaf culture and its language: American Sign Language as part of my identity. I used to have bitterness against those who oppressed and discriminated upon me in the past. More I learned as I get older that I realized people who don’t understand Deaf are simply lacking the education about Deaf communities. Let your identity be in Christ and Christ is the King of Peace. Carrying the attitude of militant will cause to develop the division within Deaf communities where there is no peace within. You are forgetting about one thing if you are occupied with militant attitude, they are WATCHING you! Of course, all of us have different goals, visions and perspective. Remember, you cannot paint someone to be someone else. God sees an individual with its own unique personality! God doesn’t see Deaf as Broken person, God sees it as normal and beautiful in His own eyes. So therefore God wanted all of hearing people to understand and learn about the uniqueness of Deaf communities. Same as for us as Deaf people learn about uniqueness what differing from us! So therefore God created us and we are His beautiful children whom believe in Him through Jesus our Lord. Don’t let oppression and discrimination destroy who you have instead educated those who need to see us as not broken people! We are all one in Christ. None of us are outcast in eyes of God. Power is MINE! I DESERVED IT! Power is mine! I earned it! I worked so hard so don’t dare to cross me! I was bullied and being victimized! Hey all of you, I knew the feeling and I had similar pain as you even it’s unbearable! Let me share something, Stan Lee and Steve Dikto breathed a life in Peter Parker, who became a legendary superhero that everyone love known as Spider-Man. Spider-Man came to life in an issue of Amazing Fantasy number fifteen which was published in the month of August 1962. Peter saw something unbelievable as he gained power due to being bitten by a radioactive spider. He was challenged to use his power for good purposes or for his own personal gain. Should superheroes use their own power to protect people from unseen evil force, use it for their own reputation or use to break the law as shortcuts in answer to their unfair treatment in their life? Are you familiar with story of Joseph The Dreamer? The Saga of Joseph The Dreamer was told in the Book of Genesis, Chapter thirty-seven to fifty. Joseph was sold to merchants by Joseph’s own brothers! Joseph was brought to Egypt. 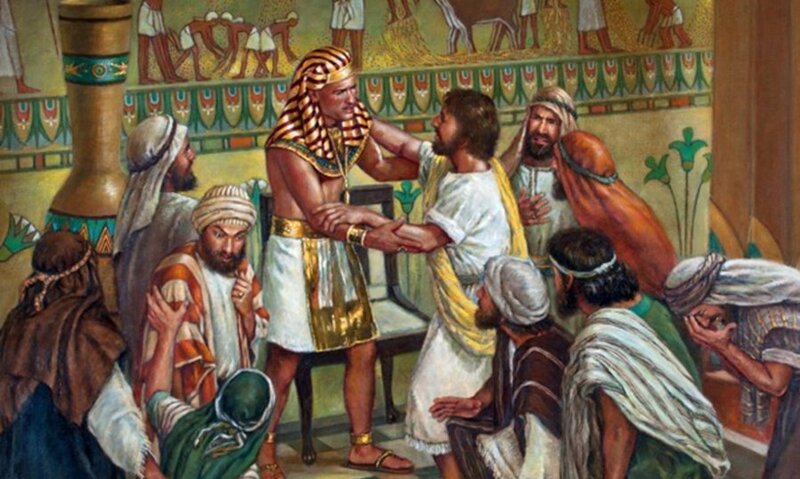 Joseph was very confused and been dismayed by what his brothers did to him. Maybe he figured out that his father, Jacob does not want him anymore. Remember when life taken an unexpected turn and there are always full of questions! After thirteen years being in Egypt. Keep in mind during his thirteen years was not always full of joy. He was persecuted and been falsely accused even were forgotten. When he became governor of Egypt. He saw his own brothers came before him. Didn’t you realize that he have full of authority and access to power as governor in doing anything to his brothers! He can TORMENT and REPAID them back for what they did to him thirteen years ago! However, during his thirteen years of staying in Egypt, he grabbed his time to develop a personal relationship with God, which shaped his heart despite he went through good and bad times there. God’s unconditional love felt upon Joseph’s heart, which led him to have different approaching toward his brothers. Unfortunately, many years later his son was not doing very well and he is experiencing unfortunate incident in his life where he made poor decisions. A family member knew I was doing well with my life as I made achievement in career and educational setting. I finally saw this person last year at my sister’s wedding after eleven years of not seeing him. He was scared to be near me, but I chose to come up to him and gave him warm hugs and let him that I still love him and expressed my apology for our soured relationship in the past. It helped close the oldest chapters in the past and move on the new chapter. It is a sign of forgiveness and let it go! Spider-Man could have used his own power to kill the burglar for killing his Uncle Ben but he chose to use his power to arrest him and put him in custody of police officers. So therefore the police officers can handle dealing with a burglar. So therefore, we are responsible for how we handle with accessible of power usage. If you decided to use your own power in doing harmful to people, then you are making yourself worst than before. I have been there and trust me please, I said many poisonous words to those when I was full of anger and bitterness. I regret a lot of things I did in the past, some of them will not forgive me even I asked for forgiven, but I realized I was in the eyes of God and I letting God take care of them because I was so eager to seek forgiven despite they declined my expression of apology. Think about what Jesus would react to those who hurts you. Are you Forgiving (or Prefers Tormenting) Yourself? Nothing can make your life better and be at peace until you understand the true purpose of forgiveness. The opposite of forgiveness is bitterness. Are you being in prison of bitterness? Are you anger at yourself? Do you blame yourself for allowing yourself into a situation you are supposed not to be there? Do you spend most of your life blaming others for making who you are? Do you blame others for poor choices and decisions? In the season finale of Arrow Season Five, Slade Wilson aka Deathstroke made unbelievable return! Yes, believe it or not! It blows me away! If you are unfamiliar with Deathstroke, he was one of anti-heroes/villains in the DC Comics Universe. He first appeared in DC Comics in New Teen Titans issue number two in 1980. In Arrow TV Series, he first appeared in season one and played a large role in season two. He is responsible for death of mother of Oliver Queen aka Arrow! Really? Yes! He killed her! It occurred in Season two episode number twenty. It happened in front of Oliver Queen and his sister Thea Queen. In season one, before Slade Wilson became Deathstroke he was allied and mentor for Oliver Queen in the flashback story before he became Arrow until the specific incident had truly enraged Slade (he was injected with an experimental Mirakuru serum after a near-fatal accident). Slade was assumed to be dead, but later returned in season two in blood lust quest in seeking to destroy Arrow because what he did on an island in flashback story. He was still injected with Mirakuru serum which turned him in different person. It’s where he killed Arrow’s mother. It’s a story of war between Arrow and Deathstroke. Things changed between them because Deathstroke is no longer injected with Mirakuru serum because it’s worn out already and he’s back to his normal self. He was kept in prison for years before Arrow came and seek his assistance. Arrow: My past is coming back to haunt me. Deathstroke: Seems to be a recurring theme with you, kid. Deathstroke: Well, it’s not really that complicated. You suffer from survivor’s guilt. You can’t get over the death of your father. Arrow: Adrian Chase has nothing to do with my father. Deathstroke: Kid, when it comes to you, everything has to do with your father. You and I are not dissimilar. We are both haunted by our pasts, and the only way to bury that ghost is by forgiving yourself. Arrow: Forgiving myself for what? Deathstroke: You blame yourself for your father’s suicide and everything else that has gone wrong since. You need to forgive yourself for your sins. Arrow: You say that like it’s easy. Deathstroke: It’s the hardest thing in this world. Are you willing to forgive yourself for what you did to others no matter how serious it is! If refuse, then you are tormenting yourself! You will let the past control you when you “rewind” your own life in the past. All of those statements are putting yourself in a prison of bitterness! If you look in past, then it is game over! It is like trying to tell a horse to ride backward! He was right and I realized I have to move on so you need to do the same thing! It is because I was having hard of letting go of one specific situation! Jesus said forgiveness is central to spiritual growth and it will bring peace and new insight in the presence of God. So do not let your bitterness become poisonous and virus upon others, if you do then you will create negative vibes upon others and it will do much more damage than you think! Forgiving yourself is one of most painful things you can do before you finally can move on, TRUST ME I have been there, I always hated myself for what I did to my former wife (my first marriage) and those people who been dear to me. I was never proud of what I did in the past, but I finally learn to find true peace in Jesus so I had to forgive myself and I can truly love myself for who I am. It is because God made who I am. God does not define who I am by past because I am redeemed by Jesus so I am making as brand new in God’s eyes as I am His child! If you are still angered about the past, and please think for a moment how much your anger affects your family members, friends, or co-workers and did you see any difference? Think about it. So therefore do not let the past haunt you instead let it be your lessons so you can make a bright future with the eyes of God! You better get off medication and you need to increase your faith in healing your mental illness! Oh He (or She) abused you physically, verbally and emotionally, how? Domestic Violence?!?! You need to honor your spouse if not and you are suffering the consequence of your behavior! You always come to church being drunken, You NEED TO STOP DRINKING too much! Look at you, you are embarrassment to all of us in church! I knew you had HEARD PLENTY of cruelty message in church! All of us are IGNORANCE! We failed to see church as true place for wounded souls instead we see it as club for the SELF-RIGHTEOUSNESS people. My question for you how would you feel if Jesus Christ is walking inside church and watching you guys giving those cruelty message to broken and less fortunate people! Believe it or not, if Jesus is walking in today’s generation, and trust me…he will still finds PLENTY of hypocrisy acts in church. He did not care about your biblical knowledge or your talents in ministry field. He is not concern about it. He is talking about your heart! You need to STOP drinking, pray more and have more faith! It made me wonder would Jesus said to me? My answer is NO! Jesus will come and sit down and give me hugs and touch my unbearable pain as it let be disclosed in eyes of Jesus. The perfect love cast out fear as said in 1 John 4:18. Finding comfortable place where restless soul can be soothed by God is greatly needed in church. Unfortunately all of us failed to comfort and give gracious encouragement even take role of being advocator in help getting someone to seek resources where it is not available in church. Often the members of church are untrained to help others or will figure out on how to “self-medicating” method in helping others where there are resources outside church. Even believe it or not, grace-filled Christians are doing same thing because they do not KNOW HOW to do it. List going on all kinds of sensitive training is greatly needed at churches. Are you licensed to tell others to discontinue their medication which help cope with their mental illness? Can you tell other to stop taking medication for diabetic, high cholesterol, High Blood Pressure, or other kinds of health condition needs to be medicated? Think about it? It is like crossing over boundaries of medical practice where. Do you dare to mow your neighbor’s lawn where it is overgrown? It is disrespect toward their property as it is not your property. So therefore let licensed doctor handles it not you! If you are concern just share with loving and gracious message! They do not needs nasty message from you, they have dealt with it enough already! Unfortunately, we NEGLECTED and to make matter much worst, we send cruelty message as part of our judging attention upon other. SHUNNING others will cause their faith to be deteriorating. Who is responsible for it? You…sort of! When I was going through separation and divorce progress, I was walking like lonely warrior and I did not have any kinds of support group for marriage dissolution when my marriage ended at beginning of separation in late 2012. I was confused because I was given messages with kinda of sarcastic, hissing & cruelty tone! However, I did acknowledge those few true friends plus seminary friends who was there to send me very comforting and encouraging messages to fight through it. Often of time, I wanted to relapse and tell the world F*** You and let drown myself into rum because I was given with cold and cruelty messages! But I chose not to do it, I knew it will make much worse! I chose to walk down the path with Jesus and learn to seek God than finding false peace in rum! I forgive those who spit upon my face actually not my face upon the face of Christ. Christ is standing by me as he wept over those His children who are ignorance and untrained. I do not blame those who feel so scared or never experienced with situation but remember it is part of life journey where it need to be loved and be comforted. Am I alone? Nah, I have heard PLENTY of horror stories from recovering addicts, mental illness survivors, and others. I felt much comfort being with them because we are carrying the “Ragamuffin” gospel, it is what Jesus did on earth! If you are not sure on how to help do not say those are uncalled for, just be listener and ask what you can offer to help and be good advocator toward whoever needs your time. It is what Jesus did for us! Be wise in what you are doing and let it give whole glory to God! On one of beautiful late morning of Sundays, I was reading one of Locke & Key issues which was published by IDW Comic. Locke & Key was one of best horror comic stories! I was flipping through issue of Locke & Key as my wife Sunflower was driving in deep forest somewhere on base of Fort Bragg in North Carolina. Sunflower was giving me kind of “huh” facial expression! Does it rings me? You betcha! Does it ring you also? You need to ask YOURSELF! I have PLENTY of stories to tell you about how HIDEOUS man I am! I am MAN with too many secrets! I always found a way to hid the bottle of rum, it is my self-medicating for my unbearable pain! Looking at this picture above brought back painful memories where someone whom have been once dearly to me found my behavior very erratic. Wanted to know one of my darkest secrets? I stole PLENTY of money from those people even strangers so I can use their money to feed my addiction by making numerous trip to liquor store and get supersize bottle of rum. Yes I am very sickening man! I managed to manipulate those people who have been dearly to give me money or even let me manage their money. I even deceived someone who have been dearly to me for many years that I will take care of grocery shopping but I managed to find a way to get cash back after paying groceries, so I can use those cash to get bottle of rum! Another sickening thing I can share when there was big party at ballroom in honoring my old family friends. I managed to sneaked into coat room and checked for cashes in their coats and jackets. I raked in many dollars. What did I do with it, GET darn bottle of rum! I was HOPELESS man and I managed to hid a lot of those bottles of rum everywhere in my apartment when I used to live in Boston area. Picture above remind me of unexplainable grace of God who found a way in my life and pulled me away by stripped everything have been meaningful in my life. My sickening behavior was brought to light. I was deceiving myself and little I did realized those people who are around me KNEW my well-being appearance are seriously deteriorating! It is because I let booze WRECKED who I am. I lost myself, and engaged myself into false fantasies and denied the reality! Jesus was very clear about what he said in Luke 8:17. Also King David mentioned about hiding sinful deeds which is like cancer to the soul in eyes of God, it is sapping the strength of spiritual growth as he mentioned it in book of Psalms. Yes, I destroyed those people who loves me and used them to feed my addiction until Jesus walked into my life once again on 12/3/12 when I looked at bottle of rum and said ENOUGH IS ENOUGH and time to do something with my life. Jesus and I have been walking even since…. No matter how hopeless situation you are in…there is still a HOPE in Jesus! 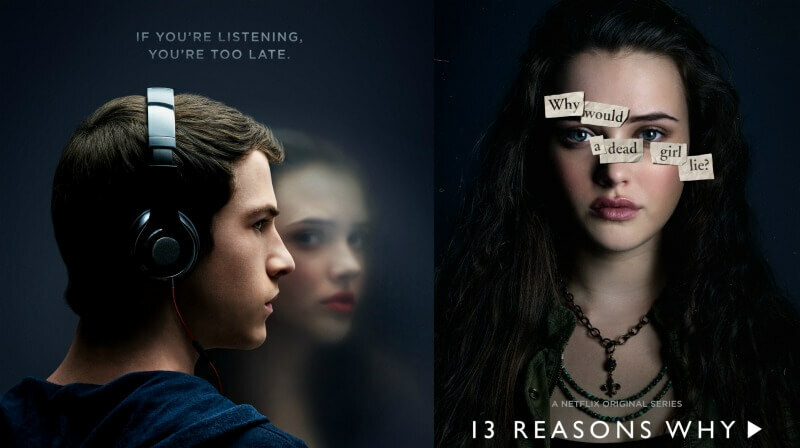 “Thirteen Reasons Why” Are Simply Painful Lesson! All of those are silent and deadly cruelty words being said toward me by one teacher for the Deaf as I just recently entered into seventh grade at Dallastown Middle School in 1985. She have no idea what was coming to me, my parents just got divorced in 1984 and I missed my father so much as he is more than 3,000 miles away from me in West Coast. Even I was not trouble maker, I was wandering and being very confused in attempt to making an adjust in fit to new lifestyle in central of Pennsylvania. The environment and lifestyle are VERY MUCH different from Southern California. I was trying to find connection in students at school. The teacher are being so cruelty and not being so empahtic toward my situation. I went home, I never shared things to my mom and my step-father, I kept all those to myself. Even one student tried to get white Deaf students to follow him in saying: “Ku Klux Klan” but fortunately Deaf students will not follow him. What did those did good to me? It WRECKED my self-esteem and all I wanted to call my father and tell him what they did to me! Bully is DEADLY weapon to self-esteem is it cool? NO! What do you think? Think HARDER before you say it! Little YOU DID realize that your action of bullying toward others will affects their souls for years to come which will brings the sense of hatred, anger, and bitterness. I had been fighting with demons inside me due to alcoholism for 11 years because my self esteem was ultimately DESTROYED due to years of being bullied based on my character and even my disabilities. Someone would make fun of my odd walking! Little they did realized I was diagnosed with mild cerebral palsy! To make matter much worst, I wanted to kill myself because I was seeing myself as worthless and useless because I was defined by those people who sees unworthy in me! Bully is EVERYWHERE and is very UNCOOL & UNCALLED FOR! Finding my life in Jesus have taught me about forgiveness and letting it go of all years of living in anger, hatred and bitterness. I used to think and plot a vengeance against those who hurts me badly but God reminds me about importance of forgiveness will bring peace and joy in my soul. Plotting vengeance will bring NOTHING good out of you, but it will make much worse than you think as it will do much harmful toward others, trust me! I am thankful Jesus breathed new life in me! So did it ring you? Sound annoying about unforgiving debtor? How about you? Are you refusing to forgive others because what they did to you? Refusal of forgiving others will bring cancer in your spiritual growth. Inner healing do not happens quickly it takes time. Spiritual growth is a journey as we will prune whatever is hindering our healthy spiritual growth! Let it go is BEST thing will happen to your life, it will bring peace in your soul! Past Can Be Your Enemy or Lesson! If I could go back in past and changed for better and I would have seen the better life! I blame this person for destroying my life! Everyone is neglecting me because who I am, let me go in past to change it! It is very common reactions I received based on my conversation with strangers, friends, and families. On third season premiere of The Flash TV series which introduced the Flashpoint which was hinted during season two finale. Barry Allen aka The Flash went into time traveling into the past to alter the timeline by saving his mother from being killed at hand of Reserve Flash. Flashpoint details an altered DC Universe and its timeline as it changed Barry Allen’s relationship with his loved ones in good and bad ways. The Flashpoint storyline comic was originally published in 2011 by DC Comics, and it is one of best storylines in history. Before The Flash jumped into past, he had difficult time dealing with death of his mother when he was boy at the hand of Reserve Flash. The Flash witnessed the murder of his mother have caused to frame his own father and placed him in prison. The Flash was being foster fathered by Joe West whom is a police detective, father of Iris West, following Barry Allen’s parents, Nora Allen’s death and Henry Allen’s incarceration. All of us have common with Barry Allen, we had hard time letting go of our past! He refused to let it go, he lived in bitterness about his death of his mother and his father being framed for murder. He envisioned perfect family and he wished to grow up whole his childhood with his parents! He was true superhero as The Flash at same time, he was man of anger. His anger has caused him to have difficult time developing stability relationship with his loved ones and co-workers. Also, he was struggling with sense of self-worth because of absence of his parents. He hard time forgiving himself for letting his anger doing much harmful to those whom is dear to him. Forgiveness and Restoration is part of God’s natural character for God is full of grace and love. Nothing can make God refuse your sin until you seek God with your whole heart. Barry Allen aka The Flash recognized that after he saved his mother from Reserve Flash have caused much complicated in his life circumstances with his families, friends and co workers, some of them have went sour with Barry Allen. It came to his sense that past need to be left in past and cannot be changed but only he can change about his past is to use as lesson for his life journey. He was very determined to restore the timeline again by leaving the death of his mother in past and return to his current timeline. Unfortunately, there are still some damage done to his current timeline which created another new reality of his timeline. It is because he dared to travel back in time to fixed but it did have big effect on his current timeline, so therefore Barry Allen aka The Flash learned his expensive lesson and focus on making progress of restoration. Our past can be filled with ugliness circumstances and what done damage to us have caused us to be etched for years. Living in past than to seek forgiveness, reconciliation and restoration will cause to live in bitterness and anger can do much damage to whom are truly dear to us. Ongoing negative thinking will cause you to have impact on your life perspective and it can be very toxic perspective. Remember we are not product of the past, so let close the door of past and not to open it again, or should I say “do not fish” at this lake since it is heavily polluted. Reserve Flash is one of most deadly villains in The Flash universe, he wanted to do anything to destroy Barry Allen and all of his loved ones. Reserve Flash wants to remind Barry Allen aka The Flash about his past life and his poor decision. Reserve Flash reflects much like Satan. Satan is known as the accuser and wants to remind you of your past filled with regrets. Do not let it happen to you! You are the product of the present and future, so let change be made and it starts with YOU! Healing is long-term journey, it is NOT like express lane or overnight change. It takes time. Seek God with whole of your heart and be honest with yourself. Edward Gonzalez on My Dad & Me!